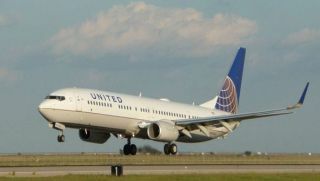 United said it plans to reduce frequencies, postpone the launch of new service to some cities and shed unprofitable routes, resulting in flat overall capacity growth for 2011, compared with previously announced plans for a 1-2% increase. The airline is also analyzing the removal of less fuel-efficient aircraft and will cut other costs as well. However, United officials don't plan to drop any routes entirely. The vast majority of cuts will involve cutting back on existing routes, and no layoffs are expected among "front-line" employees, officials said. "We will continue to serve all the communities we currently serve across the U.S.," Mike Trevino, spokesman for United tells AOL Travel News. The move follows similar moves by rivals American Airlines and Delta Air Lines, to slow earlier growth plans. The airlines have also raised fares some six times so far this year. Analysts say the airlines are afraid that raising capacity too much in this environment will result in unsold seats. "It's going to be less convenient for some consumers who won't have as many flight choices," Rick Seaney, co-founder and chief executive of FareCompare.com, says of the growth slowdown. "Airlines want to make sure they don't have too many seats in the system because they want to keep the planes completely full." United plans to cut its overall schedule by 1% by May and 4% by September. By the fourth quarter, domestic capacity should decrease by 5% and international capacity, which is more profitable, should increase by 2%, compared with year-ago figures. For the full-year 2011, international capacity should be up 2.5% to 3.5%, while domestic capacity should be down 1.5% to 2.5%, compared with the year-ago period, officials said. Analyst Michael Boyd warns that this current round of cuts at the big-three carriers are just the beginning, as fare increases will eventually hurt demand and airlines will be forced to scale back additional costs. The airline industry recently scaled back global profit forecast citing revised oil price estimates, which are now surpassing $100 a barrel. "When you're paying $4 a gallon to get the SUV going, I don't think you're taking a [plane] trip to Orlando," he said.